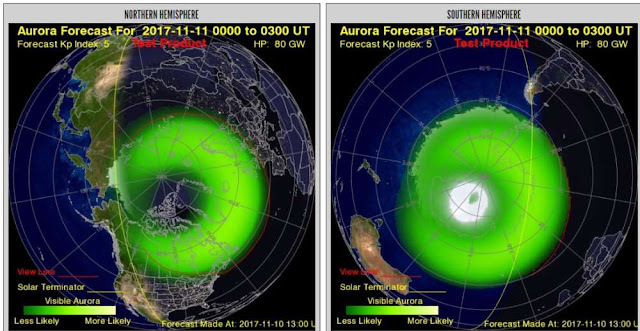 After a stellar showing of aurorae over southern England during the past few days, many have been wondering if a repeat showing is likely anytime soon. Well, if you live in the UK, particularly in a place nearer to Scotland and far from bright city lights, then you may be in luck. The iridescent sky ribbons are potentially visible tonight and over the weekend, just as they were over the last few days. Your odds vary depending on who you consult, though. According to AuroraWatch UK, for example, you may have missed your chance if you haven't caught them already. The geomagnetic activity peak occurred between 9.00pm and midnight on Thursday 9. Right now, the alert level is green, which means that “no significant activity” is expected. The National Oceanic and Atmospheric Administration (NOAA), however, has a slightly different prediction. 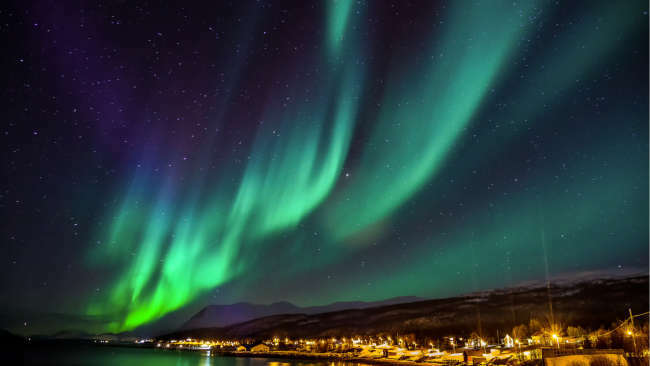 The US-based agency forecasts that those in Finland, Norway, Sweden, Iceland, the north of England, and Scotland will stand a better-than-average chance of catching the Northern Lights during the night of the 10th and the very early hours of the 11th. Alternatively, if you happen to be in either Canada or Antarctica, then that's perfect: both stand a solid chance of featuring the aurorae over the next three days. To be fair, predicting when and where aurorae appear is fairly tricky. It all depends on the activity of the Sun, and how energetic its discharges are. Remember, few expected anything back in September, but the sudden emergence of the most powerful solar flare in a decade changed all that. Ultimately, this led to one of the most beautiful and persistent displays of the Northern and Southern Lights in many years at surprisingly low latitudes. At present, the chance of seeing the astrophysical spectacle is far slimmer than it was back then, although we’d say that it’s worth keeping your eye out for new alerts. You never know what the night sky’ll bring you.